Actor Dileep and team of "Villali Veeran" have got in to trouble after Dileep's look in the film "Villai Veeran" as Buddha. 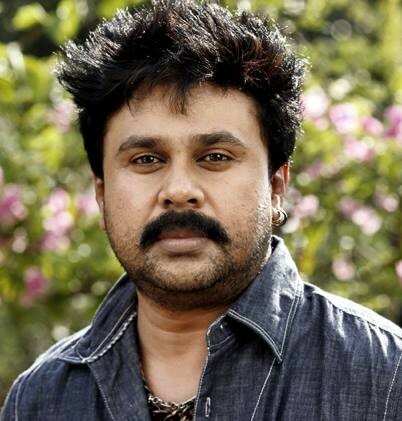 Actor Dileep and team of "Villali Veeran" have got in to trouble after Dileep's look in the film as Buddha. As per various reports, a Buddhist believer has come against the featuring of Buddha in the film and has asked for a ban on the films. In one of the songs of the film, "Cinderella chanthame", the film makers visualised a comical take on Buddha and Cinderella story. The song begins with Dileep in the look of Buddha meditating under the Bodhi tree. He is followed by many of his disciples in meditation and chanting. That is when the heroine enters the scene. Namitha Pramod enters in a caravan drawn by two stuffed rats. She plays Cinderella who has come to woo her prince. As the Cinderella opens the doors of the caravan, Buddha falls for her beauty. A new prince in Buddha is woken up and the song then goes to a romantic number, which acknowledges their love for each other. Meanwhile, the song sequence did not go well with the Buddhist organisations and they have blamed the censor board for not asking the film makers to edit those sequences. Meanwhile, the director of the film Sudheesh Shankar has clarified that they did not intend to hurt anyone's religious feelings. The director also confirmed that he had not receive any formal complaints from anyone. "There are plenty of songs with people dressed up as gods and goddesses. That doesn't mean they are insulting any religion," Sudheesh Sahankar to The Times of India. "The complaint was that the song sequence featured Buddha, but the situation demanded such a humorous take as the character is someone who lives like the Buddha. He is someone who has renounced all worldly pleasures and it's into such a person's life that the girl enters." "Villali Veeran" was earlier titled as "Buddhettan" but the team later changed the tiltle to avoid any controversies. The film was released on 6 September as Onam release. The film is distributed by Ramya Movies and is produced by RB Choudary under the banner of Super Good Films, which is one of the leading producers in South India.